Especially, Magento 2 Configurable Product Purchase Variables brings enormous benefits for wholesale supplier because they can purchase a number of products with variable options. Your customer can add as many as items they want to cart and do not have to repeat this process for times. 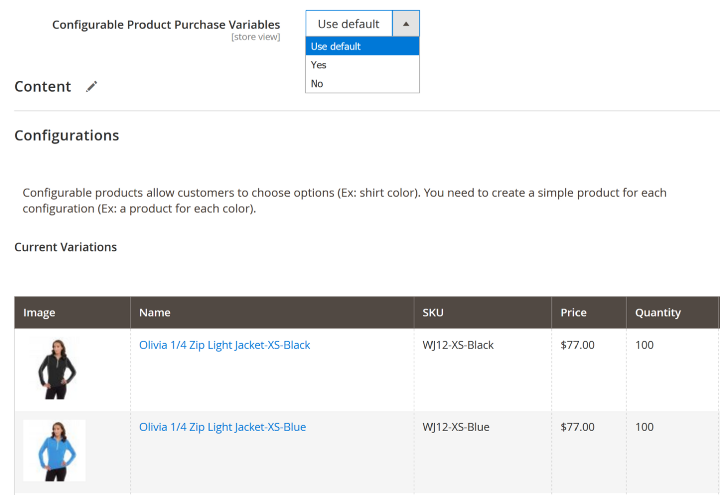 To specify, Configurable Product Purchase Variables for Magento 2 will bring a lot of amazing features. Easily enable or disable extension in back-end area. Easily enable or disable features for each separated configurable products. Allows to show quantity box or both quantity input and swatch options. Allows to show the remainder quantity of each configurable product. Don’t waste time anymore, Check Demo out to experience the usefulness of Configurable Product Purchase Variables for Magento 2 brings to.